Nobody wants to find out that their A/C isn’t working when they are stuck in their vehicle on a hot day. Keeping your vehicle cool during the summer is important for both your comfort and your safety. There are many reasons why your A/C may start blowing warm air, or why it might stop blowing any air altogether. Depending on the problem, a service technician can use a number of fixes and strategies to get your A/C up and running again. One of the most common causes of an A/C malfunction is a refrigerant leak. A tell-tale sign that you have a refrigerant leak and that your refrigerant needs to be recharged is if your A/C has stopped blowing cold air and is blowing lukewarm or completely warm air instead. The refrigerant is responsible for cooling the air in the system. If a leak lowers the amount of available refrigerant, then the air can no longer be adequately cooled. A vehicle’s A/C needs to have a specific amount of refrigerant to work properly, right down to the exact ounce. Your A/C may also stop blowing cold air due to a clogged up radiator or condenser, which is more likely to occur during the summer. Too much dust and debris can reduce the airflow passing through the radiator and condenser, throwing off cabin temperature readings. A/C problems may also be caused by an electrical issue with the compressor’s clutch or circuit, a jammed air door, or a faulty fan unit. It is not recommended that you try to fix a broken A/C yourself, even if you think you know what the problem is. Attempting your own repairs may make the problem worse and can end up costing you a lot more money to fix. For example, drivers who try to recharge their own A/C can easily end up overcharging it instead, potentially causing compressor damage. If your A/C isn’t working as it should be, then you should get it checked out at a dealership. You’ll especially want to have it looked at as soon as possible if you suspect that there may be a refrigerant leak. The longer you wait, the more refrigerant will leak out and the more you will eventually have to pay to have your refrigerant topped up. 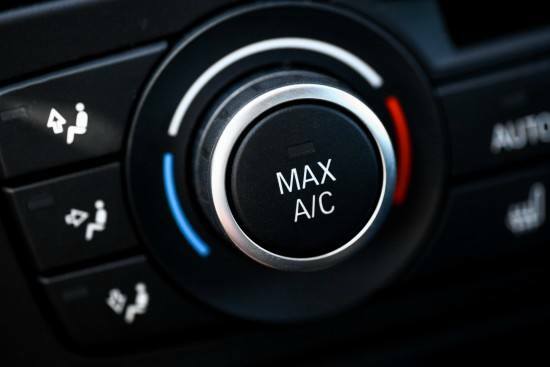 Another reason why you shouldn’t wait to have your A/C checked out is that the refrigerant used in a vehicle’s A/C system can be harmful to the environment. While it isn’t as bad as what was used in the past, it is certainly not harmless either. You risk causing greater damage the longer you allow your refrigerant to continue leaking. Your vehicle’s A/C system is complex, and so should be left to the professionals for repairs. Not only can they get to the bottom of the problem, but they’ll have the tools and the know-how to fix it. Don’t keep sweating in traffic while your money leaks onto the road. Schedule a service appointment today.